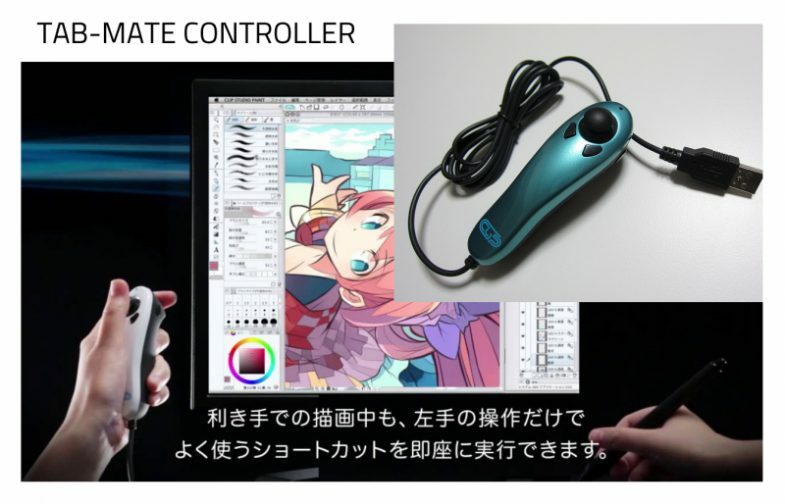 There was the time when Celsys (developer of Clip Studio Paint and RETAS STUDIO) felt sorry for our tired wrists, therefore the first Tab-mate Controller was born. The problem? Was staggered, unpractical and easy to break –mine got broken after few months.. Nothing else but a corded gadget that keep rolling up on my arm, or get stucked to my coffee cup. Not to forget the intricate menus, a nightmare to memorize; it was faster to rely on the old-school keyboard! After years of testing and finally listening to many artists, to their needs and workflow, Celsys made the Clip Studio TABMATE (yeah, same name.. Be careful when you buy one online). 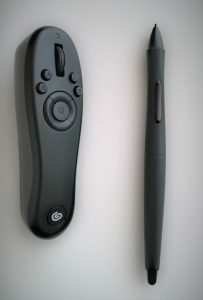 The new wireless TABMATE is a game changer, at least for those looking for a comfortable tool with many shortcuts in Clip Studio; designed for both right and left handed artists, wireless, cool black, grip with optimal ergonomic, and without that awful joystick the old Tab-mate controller had before –a relief for my thumb. Let’s face it, joysticks are good for gaming but a pain for our hands. 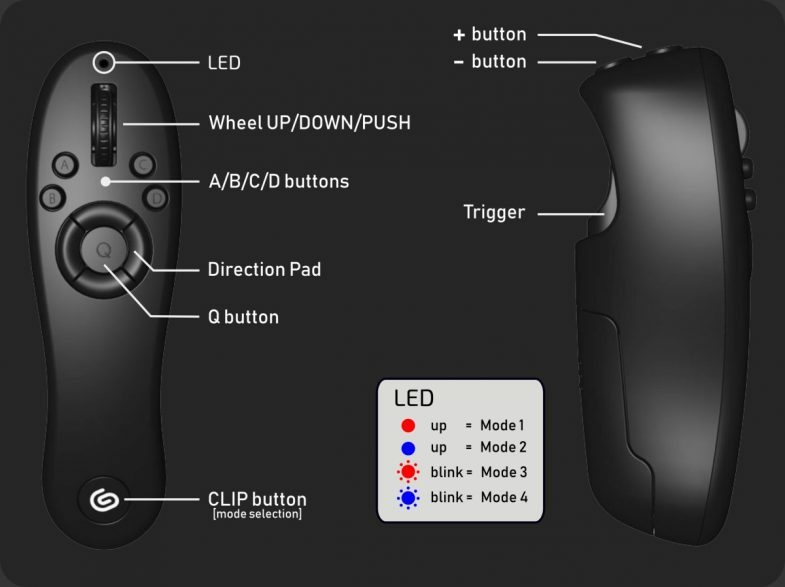 I like the buttons layout, very balanced, driving my finger in an easy-to-access and easy-to-memorize way; in short time you can get used to it, and don’t feel the constant need to look at the controller. It’s easier to remember my shortcuts on this Tabmate, even switching through different programs, compared to a classic keyboard or a gaming one. I believe it’s crucial to mitigate the fatigue on the fingers caused by repetitive movements for many hours. This is why is common among many Japanese illustrators and mangaka, to rely on some controller/pad/joystick rather than using keyboards. On the TABMATE settings menu (on Clip Studio Paint) we can assign keys, functions to tools, auto-actions, modifiers, popup palettes, and so forth. With 15 button in 4 hardware modes, the controller can be configured with hundreds of features; any button can have up to 10x tools in rotation, or 3x time functions, or 2x toggle (on/off), or up to 4x consecutive taps. To help us we are given a basic keymap, already assigned out of the box for Clip Studio Paint: mode 1 “sketch”, mode 2 “inking / drawing”, mode 3 ” paint”, mode 4 “detailing/ finish”. Different functions can be executed according to the number of times a button is repeatedly pressed. 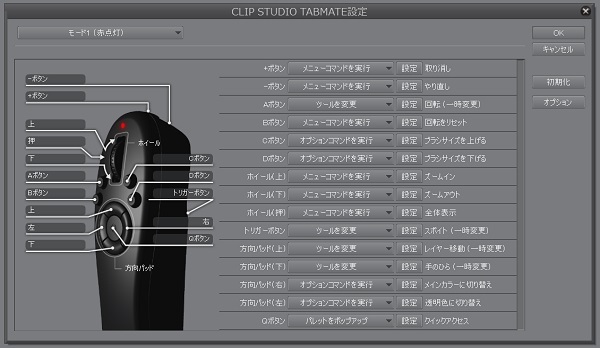 Multiple functions of CLIP STUDIO PAINT can be assigned to one button on CLIP STUDIO TABMATE. Different functions can be executed depending on the length of the button press and release. Beside Clip Studio Paint, it’s easily mapable in other programs thanks to JoytoKey and other key remapping utility. However, there is a caveat; until I can’t find a way to assign more than 32 buttons to a single joystick (Tabmate have 60 “hardware” keys), or make recognize each mode as a different joystick, we are limited to only 2 modes in JoyToKey. But recently I found that with a bit of effort there is a way to use AutoHotKey solely, and mapping all 60 buttons. I have yet to try. CLIP STUDIO PAINT EX: Works as expected, optimized for any workflow in Clip Studio. Thanks to the pop-up palette, I keep only my most used shortcuts on the Tabmate and I don’t even need to leave the first mode most of the time! In my setup I use the touch screen of my Cintiq for zoom/pan/rotate actions, freeing the controller to assign all buttons to other shortcuts. BLENDER: Great to work with sculpt and texture painting; assigning the basic pies and some useful shortcut, speed up many operations. For modeling and animation is still better keep using the keyboard (in my case a Razer Tartarus). Still trying some different configurations. SCULPTRIS: As in Blender, this also benefits enormously from a controller like this despite some sacrifice I had to deal with, due to the simplicity of the program. I’d love to try it with ZBrush or Mudbox (optimized for the touch screen). WORLD CREATOR: Too early to evaluate, has very few shortcuts and doesn’t work with pen tablet. But it’s still in beta. SUBSTANCE PAINTER: Obviously much better than using the keyboard! Essential to move camera, rotate objects, and work with main tools in a fluid and natural way. Even more so with the new quick menus. STORYBOARDER: Works fast, but still needs optimizations. Storyboarder it’s a young software currently under development, just needs time. I still have to get used to, but I must admit that it’s already speeding up my workflow surprisingly. I can’t be more than happy. But the unpleasant feeling that it can slip away, is still there..
My suggestion to Celsys would be to provide a sort of wristband. Or maybe a plastic stand with a battery charger it’d be cool (a tip for next time). 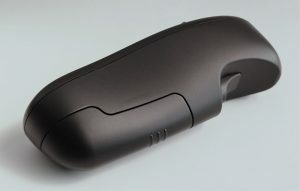 I’ll just be happy if they give me a removable soft grip, as Wacom does for his pens. In conclusion, Clip Studio Tabmate is a very good tool, extremely helpful. Deserves to be a more “universal” tool, and don’t get stuck on exclusivity to Clip Studio software. We have access to this level of customization only in Clip Studio Paint. Outside of this, we need another software. We deserve more for the price (a stand alone plug-in or driver). Grip with a good design but slightly slippery. Cannot be paired on more than one computer. You have to remove the device from the previous PC, before pairing it in another one. Affected by the cost/benefit ratio, because can be used to its full potential only with Clips Studio Paint. I am Scigor, a Creative Visual Artist, Graphic novelist and illustrator in Tokyo. I am glad you have chosen to leave a comment. Please keep in mind that comments are moderated according to my comment policy.